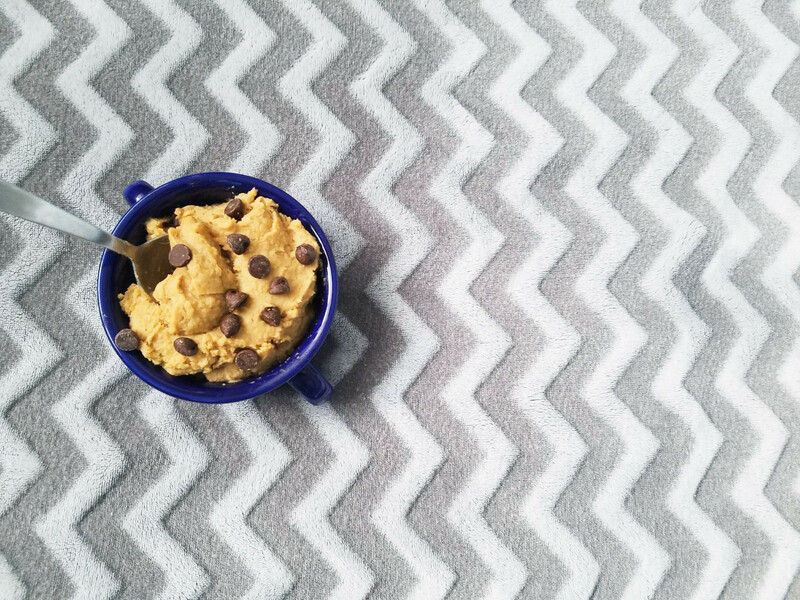 I don’t know about you, but cookie dough is probably my favorite treat. Unfortunately, raw cookie dough with all the sugar and white flour is far from good for you. And those raw eggs can make you sick! Of course, I’m not going to stop eating cookie dough because that would be just sad. So I decided I needed to create a healthier version! I found a few healthy eggless cookie dough recipes on Pinterest and made some additions of my own. This is the final product and I think it’s quite delicious! It has that vanilla doughy taste but without the processed ingredients. Plus you can easily make it 100% vegan. Enjoy! In a food processor blend the rinsed chickpeas, cashew butter, honey, vanilla extract, and protein powder until smooth. Fold in chocolate chips and enjoy! *For a vegan option, use pure maple syrup instead of honey and vegan chocolate chips. Want more healthy, clean eating recipes? Check them all out here!